Please Click on Video link!!! Great opportunity to own this amazing duplex in a prime location situated in the Lake David, Cherokee district. This very popular established historic neighborhood is on a classic Downtown brick street. A short distance to Lake Eola and all the fine restaurants, entertainment and shops, with many parks and lakes nearby. Live in one side and collect the rent in the other or rent both sides for steady cash flow. (Palmer side currently rented for $1395 under fair market and Summerlin side rented for $1600). Whether this is a partial or full investment property for you, all the work has been done for you. New kitchen with granite counter tops and stainless appliances with washer and dryer in both units. Freshly painted with all new luxury vinyl plank flooring that is great for durability. Newly renovated bath with pedestal sink, decent size bedrooms with larger than normal closets. Summerlin side has a fenced in back yard and circular drive with wood floors in bedrooms. The large living room and bonus room with wood ceiling gives plenty of space to entertain. Palmer side has tile in all main areas and a large living area with nice light and bright kitchen. 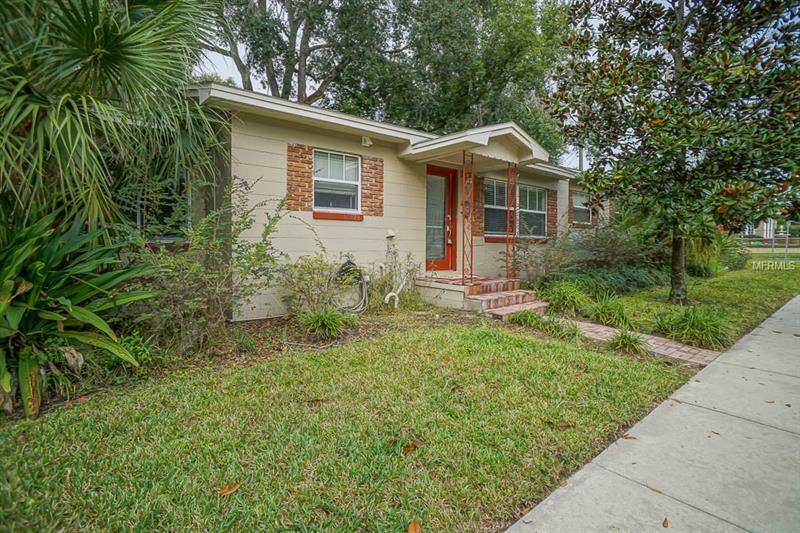 Minutes from Downtown, Lake Eola, Thornton park and located in the Blanker Boone A-rated school district. This duplex is a must see for anyone who wants an income producing property in Downtown.